This is a review I did over on MSH for their long-term review category (meaning, item supplied by manufacturer). @TheGoalNet approved me linking to the review over there. Long story short... Warrior advertised that they eliminated the annoying vibration that comes with composite sticks, but they definitely didn't and it didn't stay in my hands long. Unless you were told by someone directly, we have never advertised that our CR1 sticks eliminate vibration. All R/CR sticks do feature VIBEX which is a gel like material placed underneath the shaft where your blocker would be during impacts. VIBEX was originally created for motorcycle handles to help with dampening the vibrations. Hopefully you enjoyed using the stick and it's performance advantages. I understand that it wasn't going to eliminate it completely but I wanted to see if there was a significant reduction in vibration. There was not. I stopped using the stick after 2-3 uses and went back to my Swagger foam cores. I want to chime in I have been using the CR1s since early Feb when I got demos in to use before launch and I didn't find I got a lot of vibration in it. Do you tape the handle where you hold the stick or do you leave it bare? Left it bare the first time to try the grip (it was awful) so used my normal grip tape job every other time. I couldn't stand the pingyness and vibration so went back to foam core. I still tape my CR1s at the shoulder the same way I used to with foam core. For me personally, it wasn't so much to enhance vibration reduction it was more to have a familiar feeling beneath my blocker hand. Adding powerflex tape gave the shoulder an added "fullness" I was used to and grip I've become accustomed to for years. It will be interesting to see a review from @coopaloop1234 as I believe he is the only person on the Forum to use a CR1 yet. With all the NHL converts this season, I am curious about them! I correspond with Cody Porter a bit. He used to play in the WHL. He loyal to his CR1s. You mean besides both me and @Hills? It's ok, the blow to the side of his head is still healing. ? 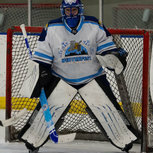 @TheGoalNet I'm definitely a huge fan of the stick. I could do a review, though this being my first composite doesn't offer a hell of a lot of insight for comparison reasons. Though, I do want to do a 8 month review on the RGT's. I may toss it in there at the same time. Although its Roller I've used the CR1s since their launch and I'm a fan. Man you're a hoot lol. He took a one timer to the side of the head in his first game with the new Bauer lid. Why am I a hoot? I vaguely recall reading that but you were quoting me so I had no idea what you were talking about. It makes sense now that you have explained it. what stick were you using before CR1? I used to be a big user of Bauer composite sticks for their durability and versatility. Been using them for about 3 years now. I purchased some CR1's back in November and I have't touched the Bauers. The vibration dampening is significantly lower than the Bauers. That being said, Composites can NEVER dampen vibration like foam cores simply due to the way it is constructed. However, the CR1 is by far the best one I've used to that respect. I shave down my paddle and I grip my stick at the paddle. Certain areas of my hand that used to hurt when I took a heavy shot to the paddle in the Bauer, no longer happens in the CR1. I'd agree with that, the CR1 was WAY better than the previous Bauer Supremes I'd used. Still more than I'd like though. I like the THUNK when the puck hits my stick. @ruckus007 - can you post some pics of your custom grip on the thread about stick cutting? Oh dude I get it. I like the composites over the foam cores just because the rebounds are crisper and I can use less energy to make the same clearance. I have an old shoulder injury from a car accident so the main reason for me is really the rebounds and the weight. Were you using the high end Bauers like NXG, 1S?? I am curious of which Bauers you were comparing them to. NXG, Reactor 6000, 1S, one.9. I haven't used the Bauers since December. Ipv6 knows what he likes but definitely to a fault. I love that you assume I don't have an open mind just because I don't like a product you like. I don't like the way composites vibrate. If somebody could make one that didn't, I would be all over it. But the cost increase is just not justified in performance, either. Also, LOL at your last comment.